You are here: Home › Events & Outings › Boiron Winter Well Must Haves! Boiron Winter Well Must Haves! 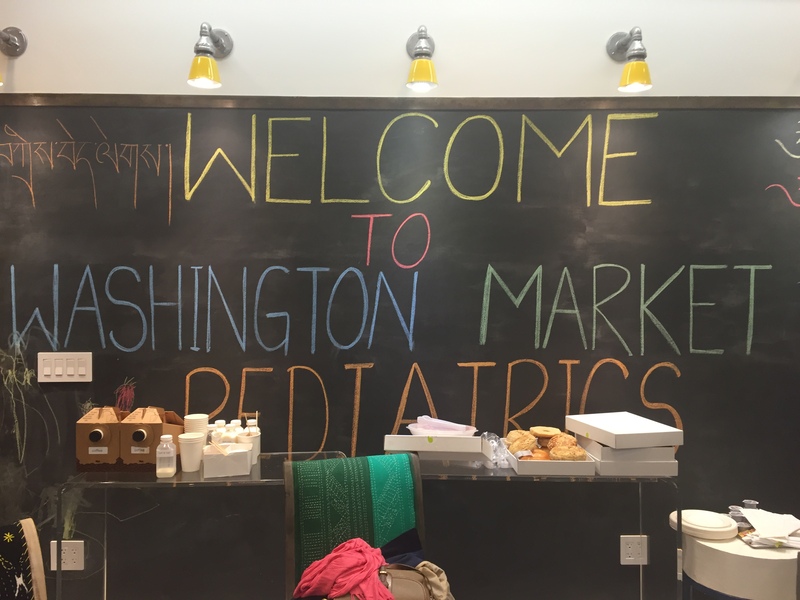 Boiron & Stroller In The City hosted an event at Washington Market Pediatrics a couple of weeks back discussing Cold and Flu preventions. As a mom of two young girls (one school age) it is always important for me to learn how to keep my family healthy. I really like natural remedies. They work great and are safer and easier to use than conventional medications. I use regular medications as last resort, if they are highly needed. My first preference is homeopathic, more natural remedies for my family. Boiron offers a variety of homeopathic medicines for the whole entire family. These are a few of the Flu and Cold options and their descriptions. Oscillococcinum works naturally with your body to temporarily relieve flu-like symptoms, such as fatigue, headache, body aches, chills and fever. Oscillo has been shown in clinical studies to help reduce both the duration and the severity of flu-like symptoms. * It does not cause drowsiness or interact with other medications. Oscillo’s sweet-tasting pellets dissolve quickly under the tongue; no water, chewing or swallowing is required. Recommended for everyone ages 2 and up, Oscillococcinum works best when taken at the first sign of flu-like symptoms. Children’s Coldcalm addresses the symptoms at every stage of a cold, such as sneezing, runny nose, nasal congestion and minor sore throat. * It does not cause drowsiness or interact with other medications. Recommended for everyone ages 3 and up, Coldcalm is available for adults in a box of 60 quick- dissolving tablets. Children’s Chestal Cold & Cough syrup temporarily relieves symptoms of the common cold such as nasal and chest congestion, fitful cough, sneezing, minor sore throat, and runny or stuffy nose. * Available for everyone ages 3 and up, Children’s Chestal Cold & Cough is offered in a 6.7 fl. oz. bottle. Kayla (7) had a rough cough a couple of days ago, we tired the Chestal Children’s Cold& Cough. We were really impressed on how it worked for our family two days after it cleared up. I feel great using natural medication and knowing i am not giving my children harsh chemicals that can interfere with their immune system. Boiron does not only offer the best Flu & Cold medications they have teething tablets, Calendula cream, Arnica Gel, and so much more pictured in photo above. Here are more description of the additional items in my Boiron Winter Wellness Bag! Before pain gets in your way, relieve it naturally at the first sign with Arnicare and feel better faster. Arnicare temporarily relieves muscle pain and stiffness, swelling from injuries, and bruising. Arnicare Gel has a cooling effect for fast pain relief. * This non-sticky, non-greasy gel is quickly absorbed by the skin. It is unscented and paraben-free. Arnicare Gel is available in 2.6 oz. and 1.5 oz. tubes. Boiron Arnicare is also available as a cream or an ointment as well as orally in pellets or tablets. Naturally heal skin irritations with Calendula Cream. It helps promote the healing of cuts, scrapes, chafing, minor burns and sunburn. * The moisturizing texture of Calendula Cream makes it ideal for use on dry or chafed skin. It has no artificial colors or perfumes. Calendula Cream is available in 2.5 oz and 1.33 oz tubes. Boiron Calendula is also available as a gel, lotion or ointment. Big thanks to Boiron, Washington Market Pediatrics, and Stroller In The City for setting up such an informative event and helping me on my journey to a more homeopathic household.